With well over 1 billion users, Facebook has changed the way that people interact with one another as well as the way that local businesses interact with their customers. Over 40 million businesses now maintain pages on Facebook, making this platform an important part of local businesses’s marketing strategies. Beyond creating and maintaining your company’s dedicated Facebook page, some business owners might consider the paid Facebook ad opportunities. To make sure your spending your advertising dollars effectively, check out these best practices for Facebook ads. Facebook offers several different kinds of ads that can help local businesses better reach prospective consumers. Making up 74.8% of total ads, the Page Post Link ad is the most popular choice for Local Businesses. These ads are designed to push traffic to your website. Video ads are also popular with 15.1% of ads. You may also consider running Photos ads or ads promoting special events or offers. After choosing which ads will best help you meet your marketing goals, you need to decide on your message. We’re living in a world of shortened attention spans so give your customers the most important information first. Facebook recommends that any calls-to-action be included in the first 90 characters for best results. If you are hoping to push more traffic to your website, ask customers to do so sooner rather than later. People scroll through their newsfeed pretty quickly, so your ad has to be eye-catching enough to make them stop and learn more. Photos and videos should be in high resolution with bright colors. Facebook has strict guidelines about how much text can be on their ads so make sure that your visuals are not content heavy. Facebook allows you to use filters to target the people who see your ad. If your local business is based in Chicago, you don’t want to be paying for an ad that is shown to people in San Francisco. You can also target your audience by age, gender, and interests so that you are reaching your best prospects. Facebook recommends changing the visuals and content of your ad every one to two weeks. Users in your target audience will see your ad multiple times, changing your creative will help keep the ad interesting to users and be more effective. 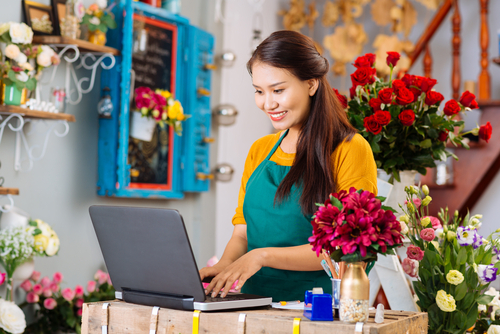 Following these five tips will help your local business get the most out of your Facebook ads. Learn more marketing tips and industry news by following up on Instagram, Facebook, and Twitter.